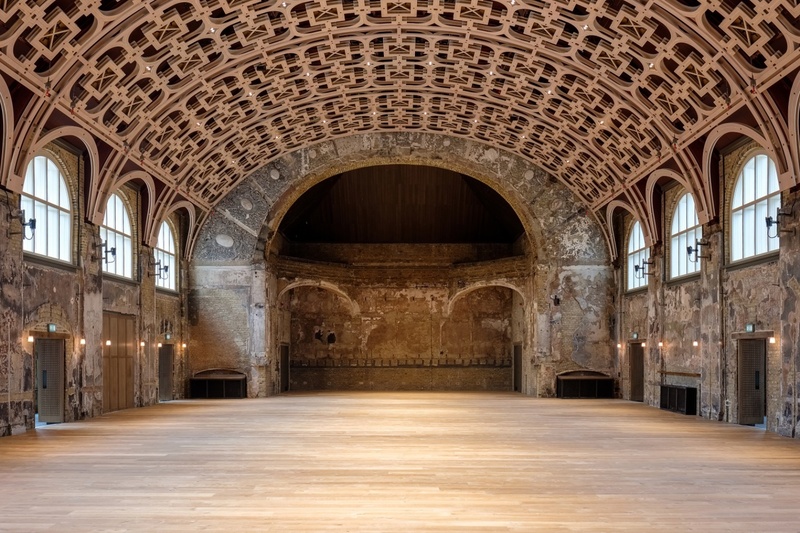 This September, the Grand Hall of the Battersea Arts Centre in London has reopened after a fire destroyed its roof in 2015. 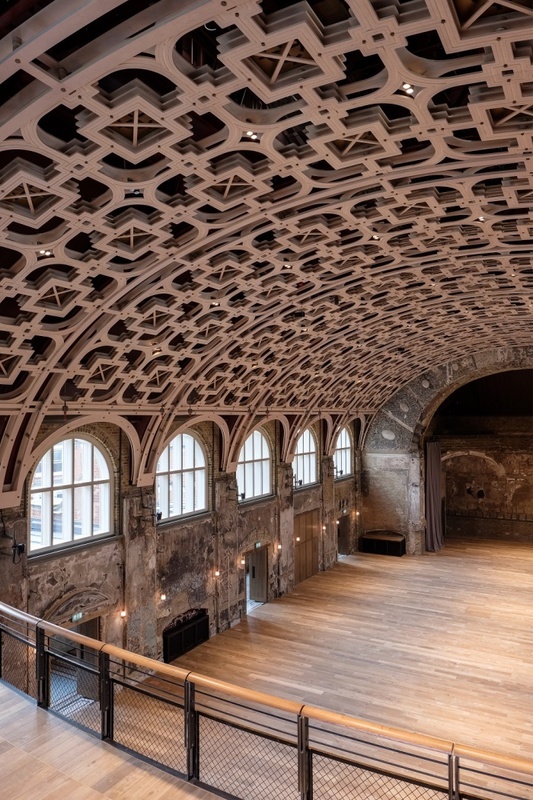 The restoration of this Hall was part of a 12-year transformation of the Grade II* listed building. 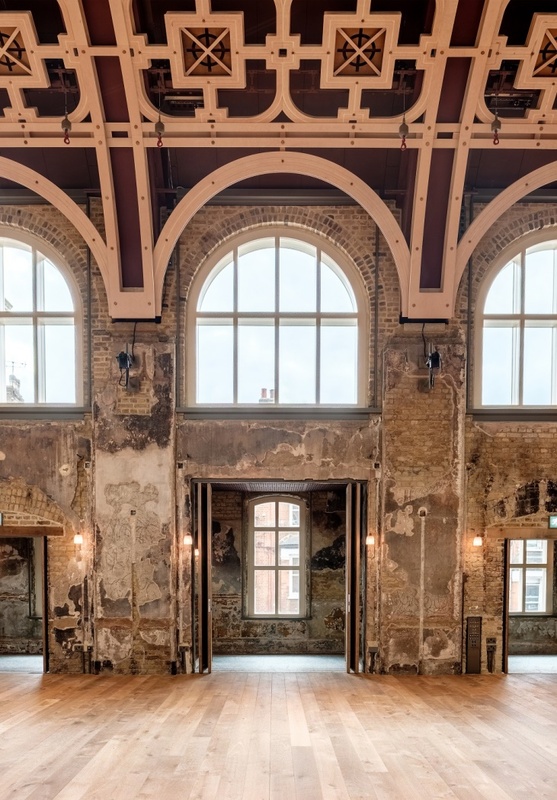 Architects Haworth Tompkins worked alongside the BAC team, the local community and theatre artist to transform the entire building into a vivid, adaptive performance environment and a welcoming center for local community life. 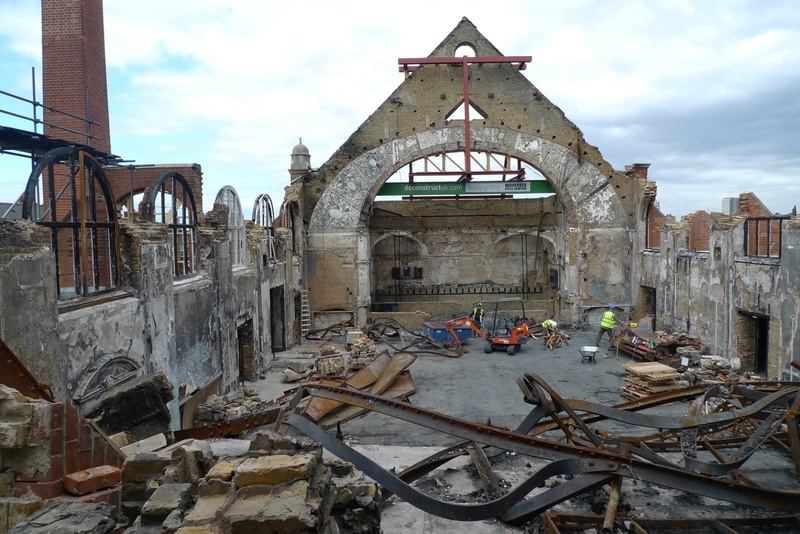 After the devastating fire, the grand Hall was radically re-imagined. 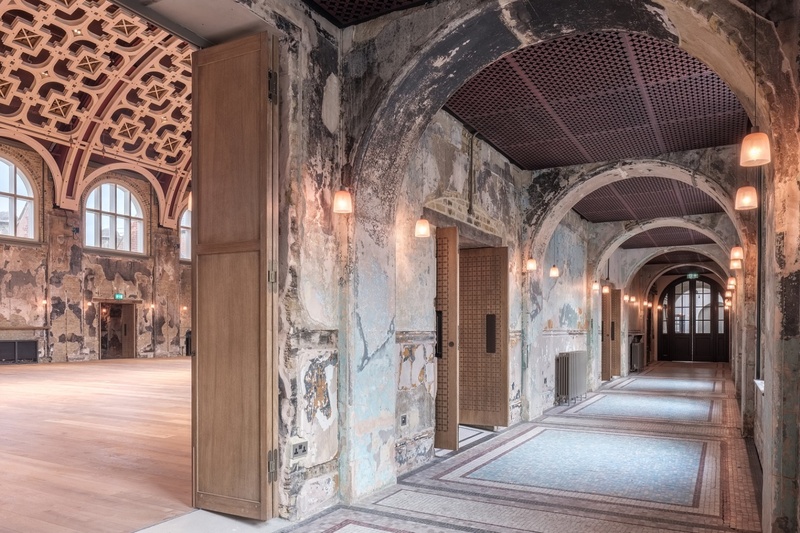 The surfaces of the walls in the hall and its surrounding corridors were conserved ‘as-found’, with an extraordinary exposed patina. The new plywood lattice ceiling is inspired by the decorative design of the original barrel vault. Adding to the thoughtfully textured space, Hakwood Dutch Scrape flooring is a natural fit. Weaving together different viewpoints, needs and elements into one collaborative space is the essence of this historic project. Successfully traversing the path to completion is award-winning firm Haworth Thompkins.